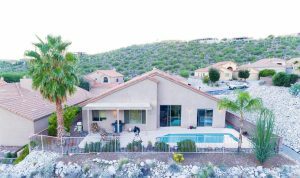 4408 N Ocotillo Canyon Drive that was listed by Long Realty and Tierra Antigua found the buyers sold for 355K. This 2,213 square foot one-story home features a three car garage and sparkling swimming pool. 4172 N Sunset Cliff Drive with a List Price of 420K went under contract this weekend; it is listed by Long Realty. This two-story, almost 3K square foot home features a first floor master suite and large recreation room upstairs. 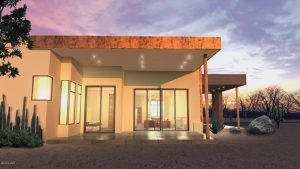 Other features include 3 car garage, upscale kitchen and bathrooms and outdoor fireplace. 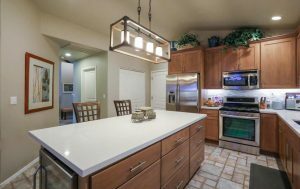 4154 N Boulder Canyon Place was listed by Long Realty today: Price Tag $729,900. This Outpost Builders built home has a large great room with dining area, kitchen, breakfast nook all in one area. 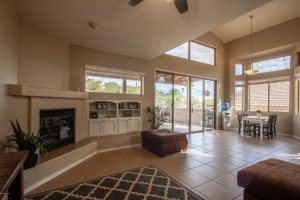 At almost 3,400 square feet it is not only a great home for entertaining, it also has a popular split floorplan with the master bedroom and large sitting area on one side and two other bedrooms with two full baths on the other side. 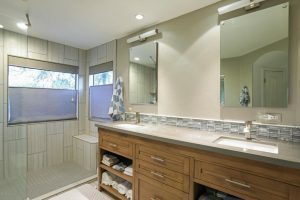 This home features an additional powder room, a three car garage and a pool and spa. Wow; when it rains it pours. 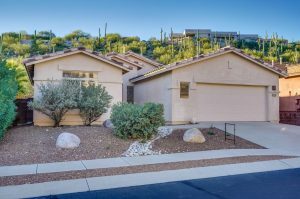 Here is the 5th home in Sabino Mountain that went under contract this month: 4436 N Saddle View Drive– listed by Long Realty- and went under contract in a week’s time. A gem and very upscale renovated 2,236 square foot one-story home with pool. Listed at 445K. 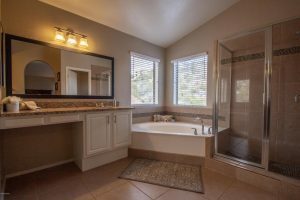 No surprise it went so fast; had such fabulous upgrades in kitchen, baths and family room….like one would find in very expensive homes. Remember to call me for all your real estate needs; I have sold 15 in our neighborhood! Donna@DonnaAnderson.com – 520-615-2598. Fourth Home Sold in January! Wow! This has not happened in a long time; we have had 4 home sales in January! 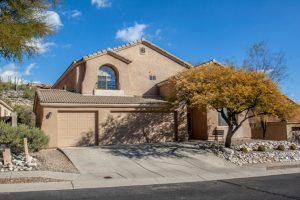 This one is located at 4506 N Saddle View Drive.This two-story home priced at $399,900 has 5 bedrooms and 3 full baths; 2 bedrooms are located on the first floor and three (including the master bedroom) are located on the second floor. It is a little unusual floorplan but great for those with big families or live-in relatives. This one sold very quickly probably because of its model-perfect condition. 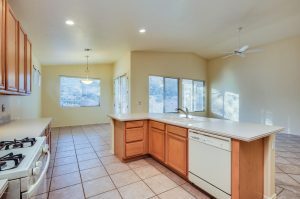 It was listed by Keller Williams of Southern Arizona. 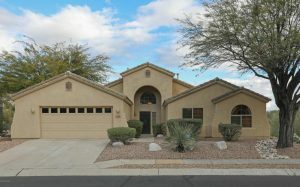 Today 4446 N Saddle View Drive was listed for sale by Long Realty for 445K. This exquisite 2,236 one story home with 2 car garage and swimming pool has some special upgrades. 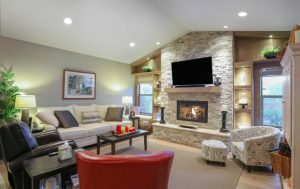 The Kitchen and Master Bathroom have been recently renovated and the Family Room has a beautiful stacked stone fireplace. 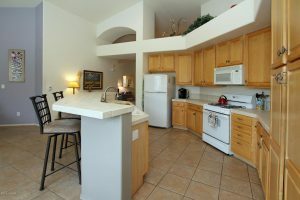 Saddle View is a quiet street and backs the the Canyon Ranch Resort area with beautiful Sonoran Desert views. This one is special, so don’t wait to view it! Remember to contact me for all your real estate needs! 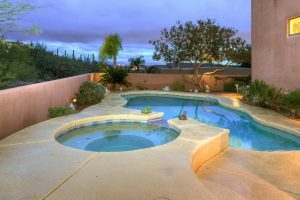 Donna Anderson Donna@DonnaAnderson.com or call me at 520-615-2598. Wow! 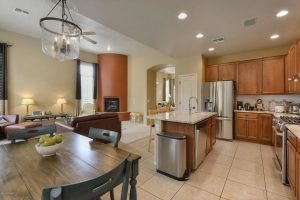 Third Sabino Mountain Home Sale in January! Under Contract Today! 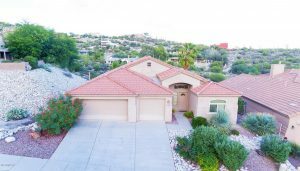 4373 N Sunset Cliff Drive was an excellent buy and some very lucky buyers scooped it up: List Price at a very aggressive price of $299,900 by Berkshire Hathaway Home Services. 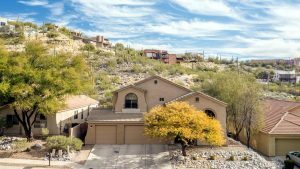 They wanted it sold so the price was hard to beat and it may take ages to find a price this low in gorgeous Sabino Mountain. 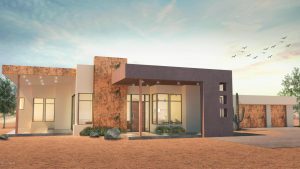 This one is just under 2,100 square feet and backs to the beautiful Sonoran Desert. 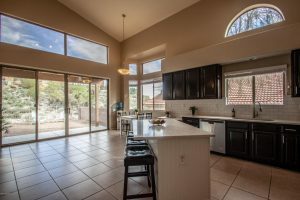 If you are thinking you want to explore the Tucson housing market or are thinking about selling your Sabino Mountain home, contact me at Donna@DonnaAnderson.com or call me at 520-615-2598. I promise excellent service-let my 30 years+ experience work for you. 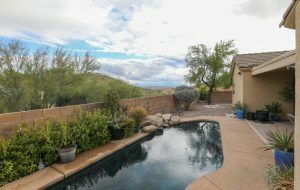 I have lived in beautiful Sabino Mountain since 2004, am a former Board Member and have sold 15 in our neighborhood! 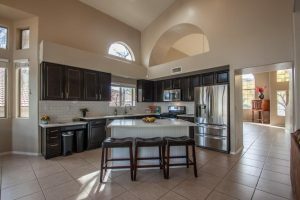 Keller Williams of Southern Arizona has listed a two-story home with three car garage at 4506 N Saddle View Drive priced at $399,900. 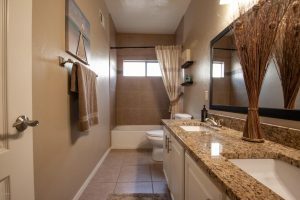 This 5 bedroom home has 2 Bedrooms and a full Bathroom downstairs and the Master Bedroom and two additional Bedrooms upstairs. The Master Bedroom has a Sitting Area and Balcony. All 3 full Baths are upgraded. The Sonoran Desert and Mountain view looks over towards the area where Canyon Ranch Resort lies beyond it. Today Coldwell Banker listed an almost 3K square foot two-story home at 4310 N Sunset Cliff Drive for $399,900. This home features a first floor master bedroom and 3 car garage. 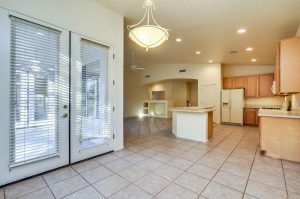 It also boasts 3 family room areas; one off the kitchen as a family room, one near the entry as a living room and finally one upstairs as a large rec room off the 3 upstairs bedrooms. Don’t hesitate to call me at 520-615-2598 or email me at Donna@DonnaAnderson.com for all your real estate questions.